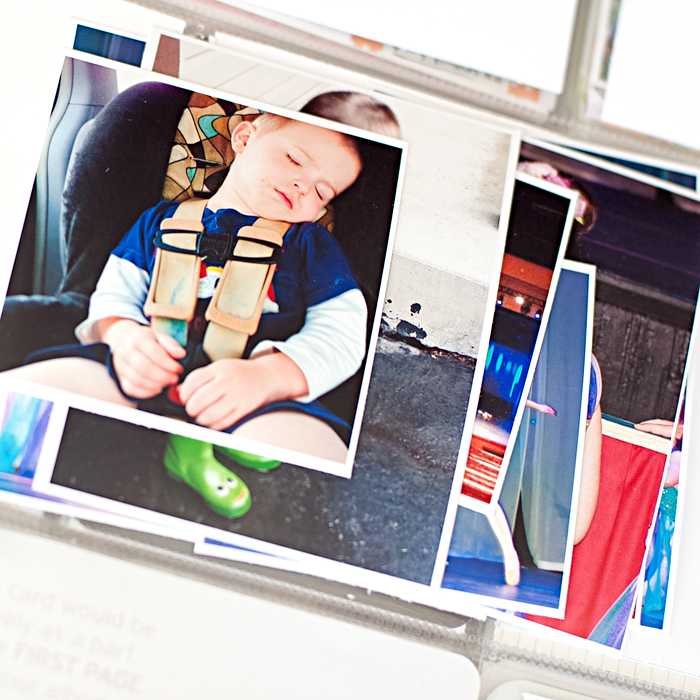 Home featured photography pocket scrapping Project Life tutorial Workflow Wednesday: How Do You Fit All Your Photos On One Page? 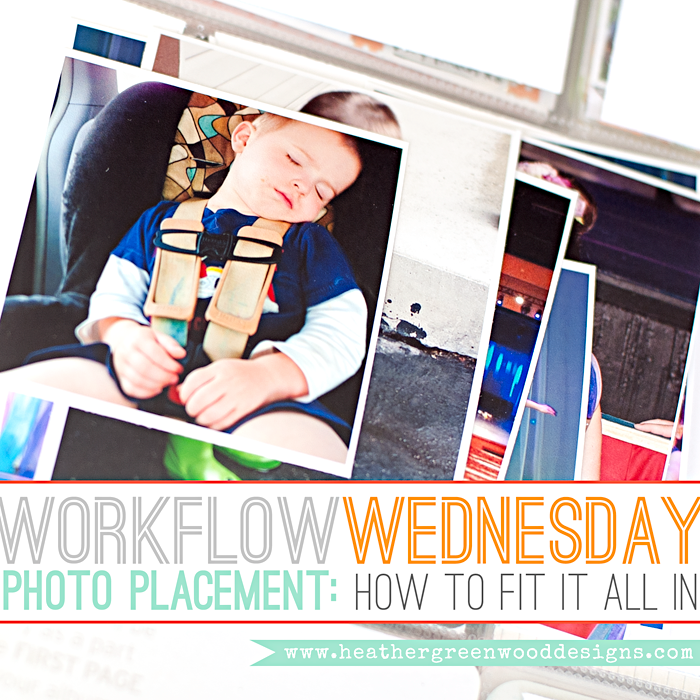 Workflow Wednesday: How Do You Fit All Your Photos On One Page? This is something I feel very passionate about sharing with you as I've found so many stuck on feeling like they need to do a two-page spread every single week and struggling some weeks to fill those two pages up. While I love the look of filler cards and two page spreads, it's not very space saving for ME. My end goal is to have my photos and stories for the year in ONE album. Since I did two-page spreads last year, I ended up using two albums and lots of filler cards on weeks where not much happened. I'm not saying there is anything wrong with having 2 -3 albums per year. I'm honestly thinking of the future and picturing my house stock piled high, full of albums and no place to store them all. I want my albums out on the bookshelves in my family room or living room for friends and family to see and look through. I don't want them stored in the office/guest bedroom or in boxes where they aren't available to enjoy and remember those little details we're recording. My house just isn't big enough for 2-3 albums per year. So, on Tuesday mornings after we've picked up my photos from Costco, I trim them all and put them in chronological order for that week. Next, I start spreading them out over the page protector trying to keep them in order. If there are lots of photos for one particular event I like to keep them on one half of the page top to bottom. So, for this last week, I had all the ballet recital and rehearsal photos on the right half of the page and the rest of the week on the left half of the page. Once I'm happy with where they are, I'll stuff them inside the pockets and move on to gathering my supplies for the week. I will admit that there are weeks when I do have lots of photos and I'm ok with adding in inserts or turning it into a two-page spread, but I really am diligently trying to fit everything on to one page. I finally admitted it's not the filler cards that my family are looking at... They are looking at the photos and reading the stories. 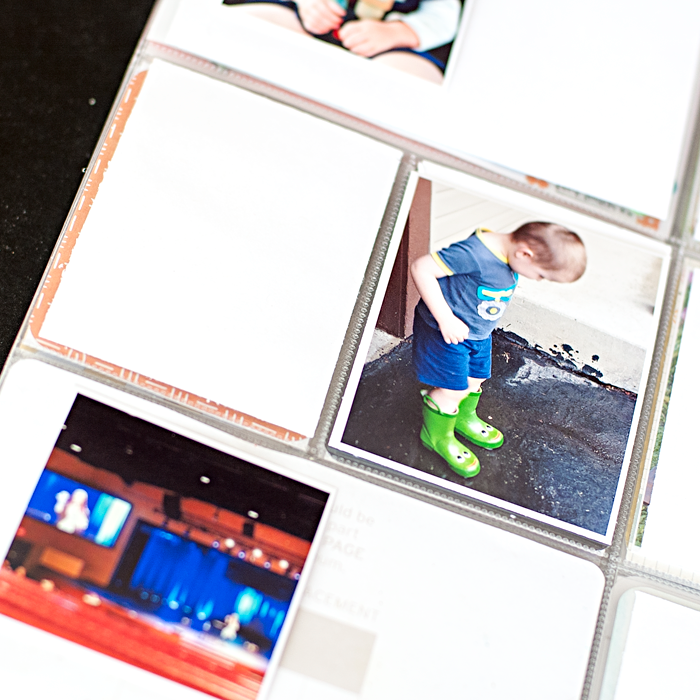 On the weeks that I have lots of photos from vacation or a special event, I will use my 2"x2" photo template to create smaller photos and be able to fit them all in easier. You can see in this pocket, I was able to fit so many photos and still have lots of room for journaling. 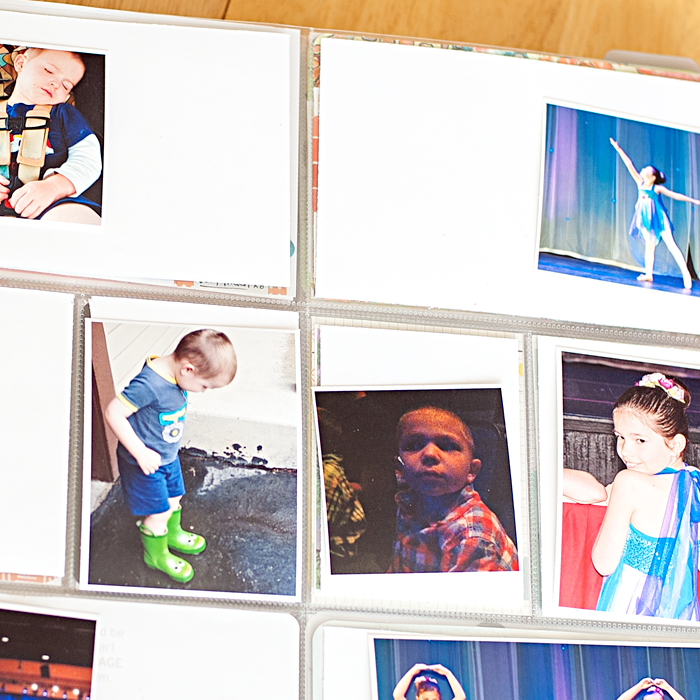 I also like to use the 3"x4" photo template for horizontal photos so that I can fit more of the story on the rest of the page or even fit another 2"x2" photo. As much as I like the clean and simple look of 4"x6" photos and 3"x4" journal cards (Becky Higgins' intention for Project Life), I find that it's not "my style". 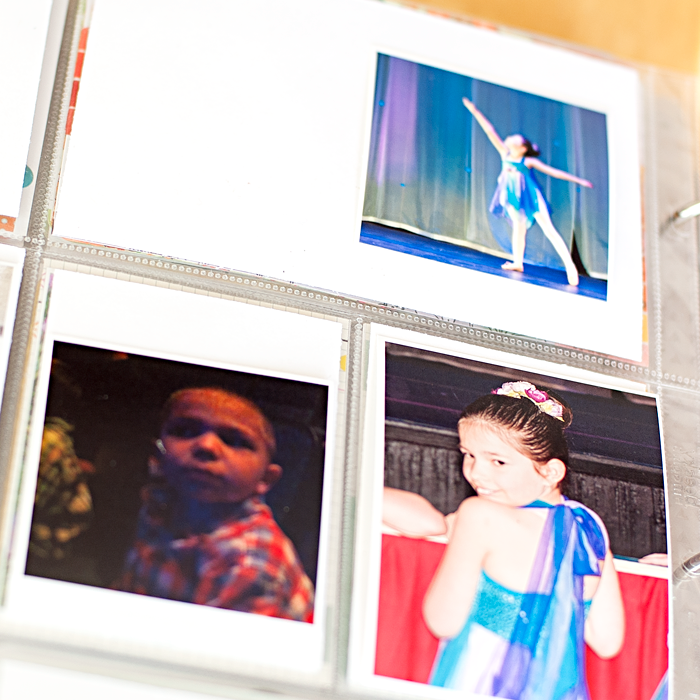 Becky's system is awesome and perfect for those who want a quick and easy way to get your photos out of the box and into albums. I'm so thankful for the inspiration she's provided for recording our memories. With two years under my belt I've found the system that works best for me and that is what I'm enjoying sharing with you. With my routine/system, I can fit so much more in my album by shrinking my photos. 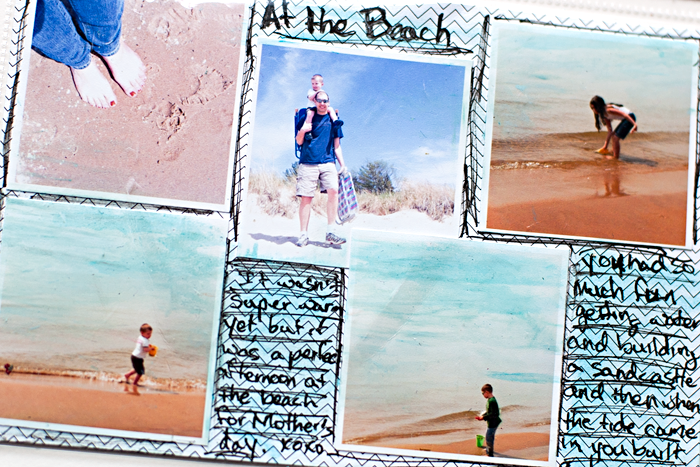 I also find I'm better using the space by filling them with both photos and our story telling. 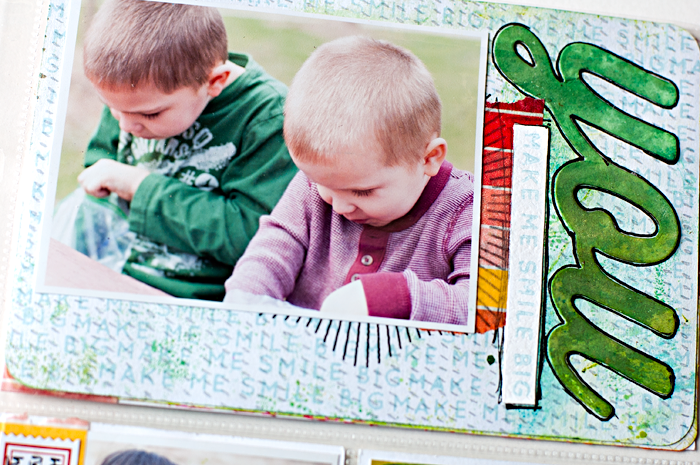 It leaves room for a little bit of creative time with the mixed media touches too, which I LOVE. How do you lay out your photos for the week? Do you keep them in chronological order? Do you use the super cute filler cards? I'd love to see how you fill your pages up each week or month or event.